Pics Elon Musk's promised revolution in affordable orbital delivery has begun: today his upstart SpaceX successfully launched a refurbished rocket from Earth, carrying a commercial satellite into orbit, and then landed the rocket's first stage on a sea barge. For any miserabilists hoping for drama, failure, and explosions, no such luck: it all went beautifully to plan, it appears. The second-hand Falcon 9 rocket blasted off in Florida from launch pad 39A at NASA's Kennedy Space Center at 1827 EDT (2227 GMT), right on time as scheduled. 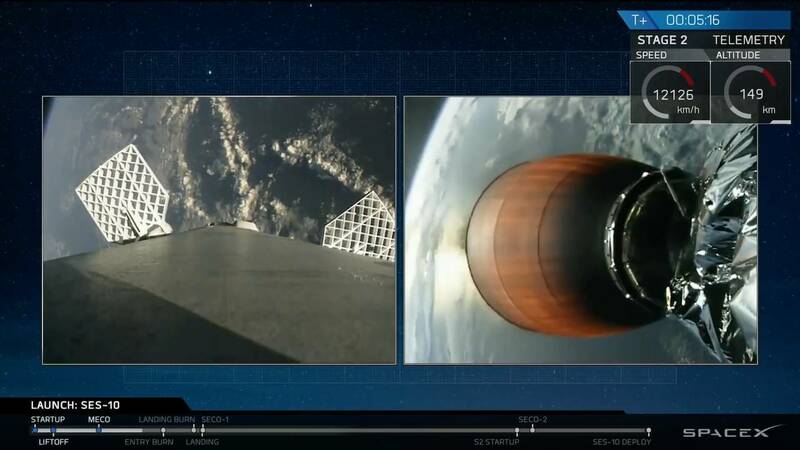 The lower first stage then landed again on the barge Of Course I Still Love You, while the upper second – and disposable – section lofted a satellite payload into geostationary orbit. 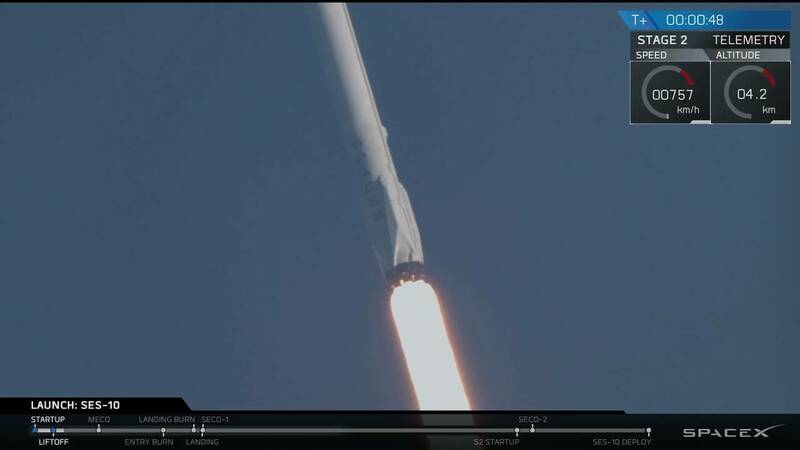 "This mission is the fundamental key demonstration that our technology is capable for reflight," said SpaceX president Gwynne Shotwell. "No one has ever done this before." Getting reusable rockets reliably in and out of space is going to be key for SpaceX's Martian ambitions, she said. The biz wants to make visiting Mars a two-way trip, rather than a one-way, and that means fueling up on the Red Planet and coming back. Shotwell said her upstart will now plan on speeding up the rocket recycling process. Today's launch is a major step forward for SpaceX in terms of cutting costs. The first stage accounts for 80 per cent of the hardware costs for a launch – thus if you can reuse it rather than throwing it away and launching a fresh one next time, you'll save yourself loads of cash. These savings can be passed on to customers, meaning cheaper and possibly more frequent satellite launches and similar missions. You may be surprised to know that fuel accounts for less than one per cent of launch costs: it's all about throwing away spent rockets, or not in SpaceX's case. 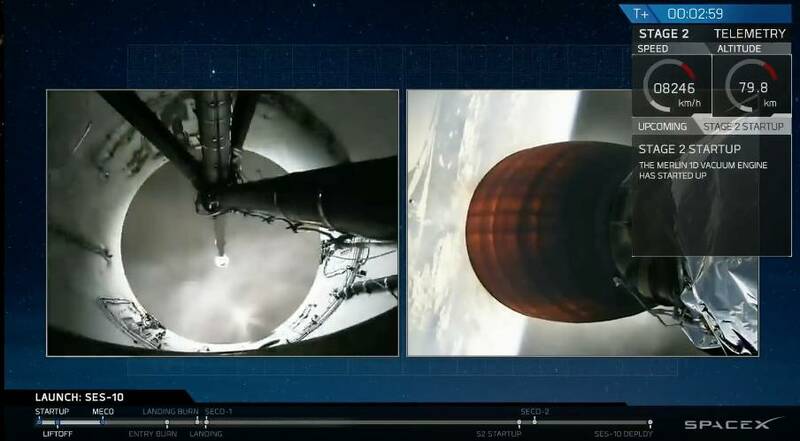 The Falcon 9 rocket – or at least its first stage – flew for the first time in April last year and was the first rocket to land on SpaceX's ocean barge. This lower stage has since been extensively refitted and examined over a four-month period. It's not known how many of the components within the rocket had to be replaced in order to make today's flight possible, but it's likely the engineers did a fairly major refit, since this launch is meant to prove the viability of the reuse concept. In other words, quite a lot of the lower stage could have been replaced, which pushes up costs: in future, after design changes and lessons learned, less and less hardware may be needed to be refurbished, allowing SpaceX to realize its cost-saving dream. The rocket's payload today is the SES-10 satellite, which will be used solely to handle South American communications traffic. The satellite has three dedicated data channels; one for Brazil, one for Mexico and the Caribbean, and the third for the entire Spanish-speaking South America region. 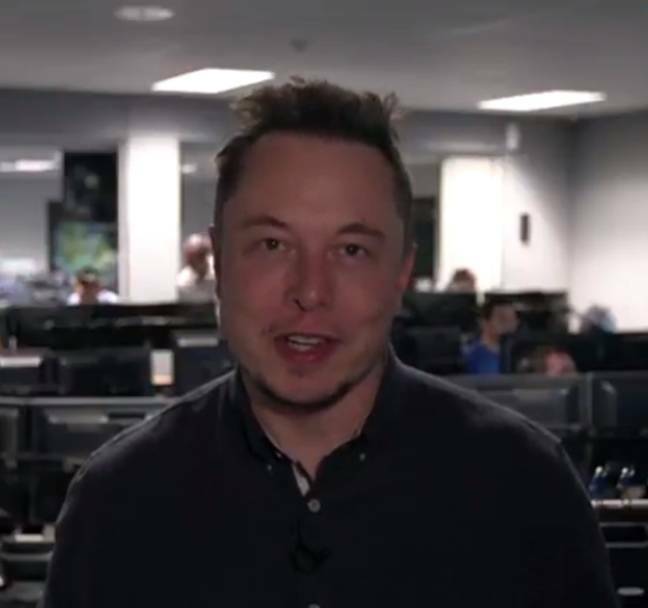 SES has been a loyal customer of SpaceX since Musk's early days and the firm will have been given a big discount to risk one of its satellites on a reused rocket. The firm has said it was looking for a 50 per cent cost reduction but SpaceX hinted that 30 per cent was more realistic. 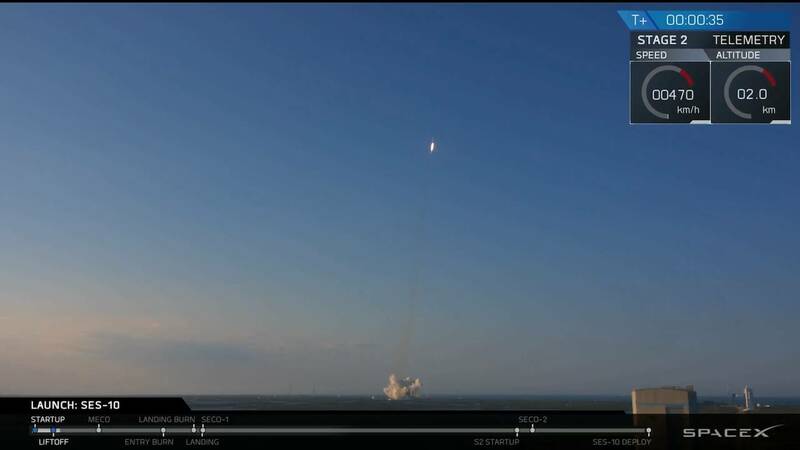 "The implications and importance of this launch will not be lost as audiences watch the flight-proven Falcon 9 propel the space industry one step closer to rapid rocket reusability – one step closer to faster, easier access to space," said SES. "Reusable rockets will not only drive down the launch cost, they will also allow a higher launch frequency, which will definitely bring a new agility and competitive edge to the satellite industry." 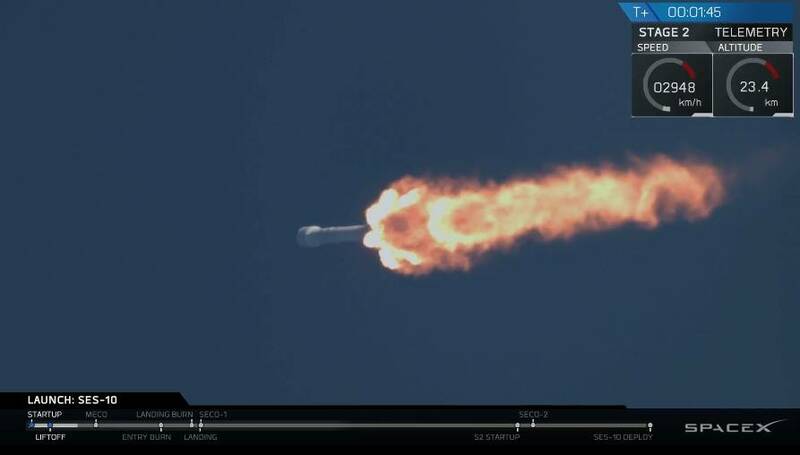 The successful flight is, however, extremely bad news for SpaceX's competitor ULA (the United Launch Alliance). That company, formed as a partnership between Lockheed Martin and Boeing, initially poured scorn on SpaceX's plans, but now has a plan for its own reusable rocket. ULA's plans are rather different. Instead of landing its first stage, the firm proposes to wrap it in a heat shield and have it parachute back to Earth, whereupon a helicopter will snag the parachute and lower it to the ground. Meanwhile, Jeff Bezos' Blue Origins spacecraft continues apace. Its New Shepard rocket has flown multiple times, but just straight up and down test flights without any delivery involved.